in your thoughts, advanced to the stage of science. Reads FITS (8, 16 and 32 bit integer files) and SBIG image files. The size of the images is only limited by the available memory. Automatic image calibration (Dark Frame and Flat Field correction). Blinking with automatic image alignment. Zoom and 'Magnifying Glass' for closeup image inspection. Automatic moving object detection and identification. 'Track and Stack' function to follow fast or very faint moving objects. Access to the complete MPC database of orbital elements (MPCOrb). Access to new-generation star catalogs (PPMXL, URAT 1, UCAC 4, and CMC-15). Includes Internet access (Send e-mail to the MPC, download the MPCOrb databse or query reference star catalogs at VizieR). Online help system and tutorials. The screenshot shows a set of three images, immediately after the automatic measuring process. One minor planet (red circle) has been detected by the software. 'Good' reference stars are marked by green, 'bad' reference stars rejected from the solution by yellow circles. The dilog box for verification of the object can be seen at the center. The coordinates and the magnitude determined for the object are displayed below the zoomed image. Two graphs and some additional data visualize the Point Spread Function fitted to the image data. 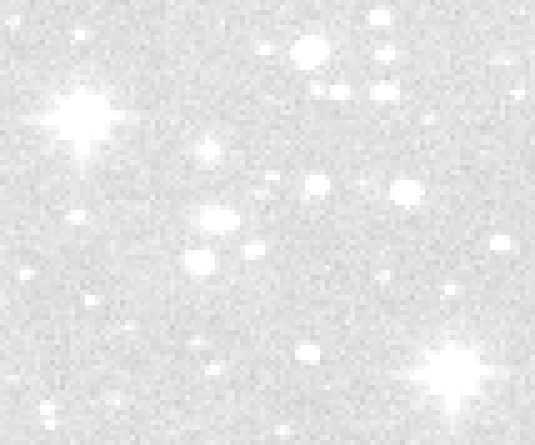 The object has been identified with minor planet 2000 AC6 by the software. In the screenshot shown above, the software has been used to automatically stack five images to increase the signal/noise ratio of a faint, fast moving object. Stars appear trailed in this image, as the software compensates for the motion of the object when adding the images. Asteroid 2003 BQ35, moving about 1" per minute at 21mag, can be seen as a tiny dot right of the bright star near the center of this image. The Minor Planet Center of the IAU provides an excellent "Guide to Minor-Body Astrometry", which includes a huge amount of useful information for both beginners and advanced observers. A fine article on "Hunting Asteroids", by Dennis diCicco (who has discovered 100+ minor planets using the "classic" version of Astrometrica in 1995/96), was featured in the Spring 1996 issue of "CCD Astronomy". Peter Birtwhistle has many useful tips for observers that want to track Near Earth Asteroids at the Methods page of his Great Shefford Observatory. For an in-depth guide to the observation of minor planets (including astrometry and photometry), the book Asteroids and Dwarf Planets and How to Observe Them by Roger Dymock is higly recommended.